This week’s HOW TO is all about one of our favourite cities! 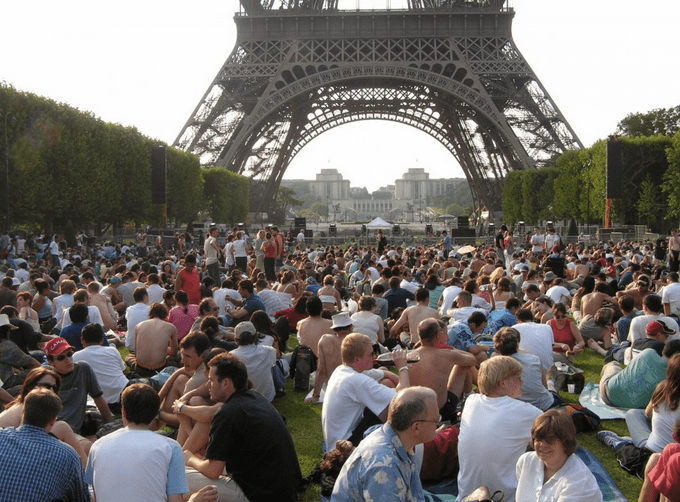 Of course we love London but the next most romantic place we think is perfect to pop the question has to be Paris! We are going to give you all the best tips on where are the best places to propose, what time of the day, and how to convince your partner to dress up nicely for the pictures to look great! 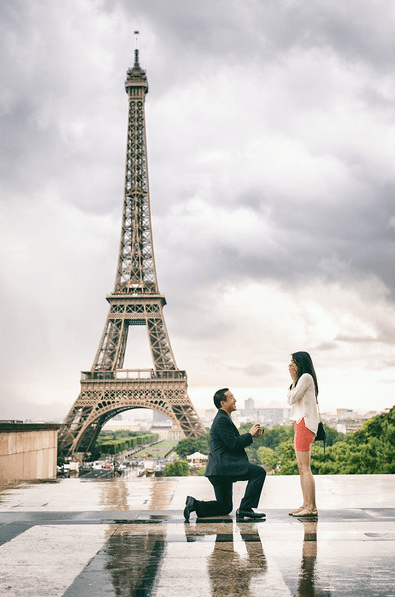 (1) Want to Propose at the amazing backdrop of the iconic Eiffel Tower? Then timing is KEY! Then how about saying those four famous words nice and early!! You’ll want to relive this moment and this can even be a great ploy to get you other half dressed up nicely! 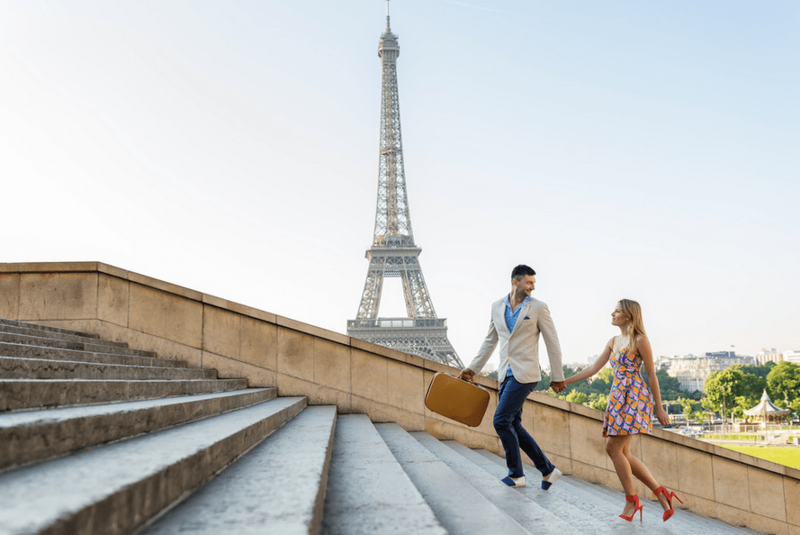 This girl thought she was just going for a photo shoot in the city of love when her boyfriend popped the question whilst they were posing! Fab cover up and even better they have the whole thing caught on camera!! and the big moment is all caught on film! which is where The Proposers come in!! Just look at this proposal we created recently on Lovers Lock Bridge with an Amelie theme (that was her favourite film) for this lovely couple. 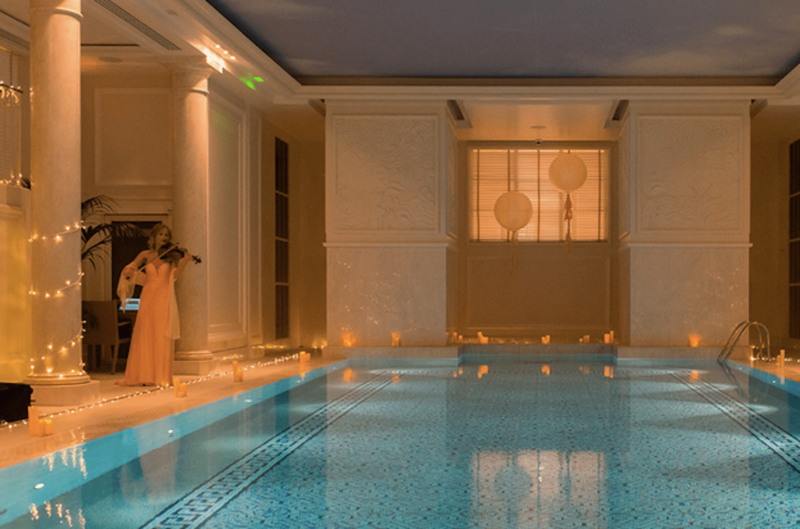 And only just last month we were back in Paris at the Shangri La to create this unbelievable proposal in the spa of the hotel, complete with love notes, a violinist and handmade crystal Marry Me signs. Now this definitely hasn’t been done before! The hotel even has a michelin starred restaurant with fab views of the Eiffel Tower perfect for photos and celebratory meal! So we’ll see you in Paris then? Thank you to photographer Fran Boloni for all his amazing proposal shots, our favourite expert Parisian engagement photographer!! We’d love you forever if you can take a second and vote for us to win The Romantics here you could even win a free holiday, a Virgin Balloon Flight, £100 Figleaves vouchers and much much more!!! !